"Spiritual master means who solves all confusion. That is spiritual master. When one is confused, he goes to a spiritual master, and the spiritual master’s duty is to save him from all confusion. That is the relationship between the spiritual master and the disciple. If the spiritual master cannot save him from confusion, then he is not spiritual master. That is the test. This whole world is confusion, just like a blazing fire in the forest. When there is forest fire, all the animals become confused, 'Where to go? How to save life?' It is very good example. When there is fire in the forest, all the animals become confused. Similarly, this material world is just like a blazing fire in the forest. Everyone is confused. Now how the blazing fire in the forest can be extinguished? You cannot take there your man-made fire brigade. That is not possible. Neither bucketful of water. So in this confused state of the human society you cannot manufacture the solution. The only solution is that when there is rain from the cloud on the forest fire, then it is extinguished. That is not in your hand; that is mercy of God. So spiritual master means who has received the mercy of God and he can deliver to the confused man. Then the solution is there. This is very good verse, samsara-davanala-lidha-loka-tranaya karunya-ghanaghanatvam, praptasya. 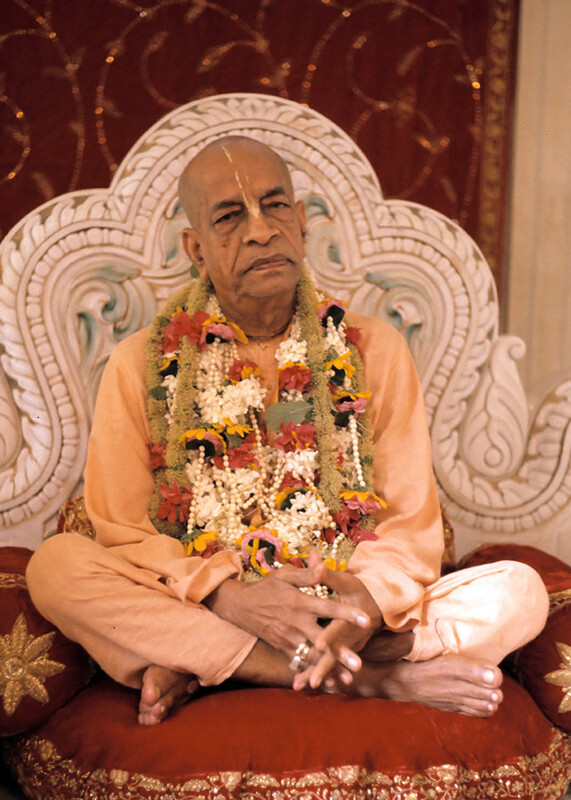 One who has received mercy of God, he can become spiritual master. He can deliver the mercy of God."